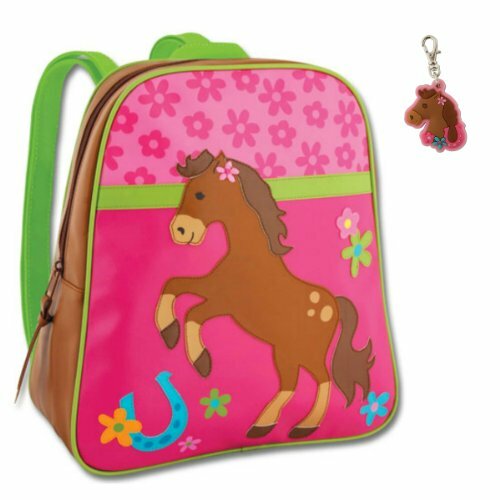 This adorable Horse backpack from Stephen Joseph is sure to make your little girl love getting ready for school or packing up for a road trip. 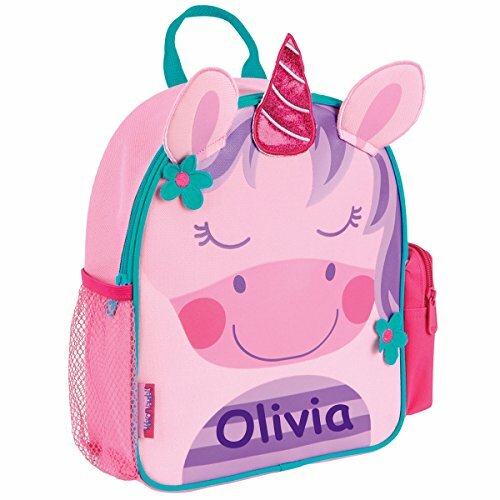 Little ones will love this backpack with colorful appliqué designs that are made for girls ages 2-6 and are large enough to hold books and school papers. The cute matching zipper pull measures approx. 1" x 1.5". Availabe at Daisy May's Boutique with other cute gifts for kids. 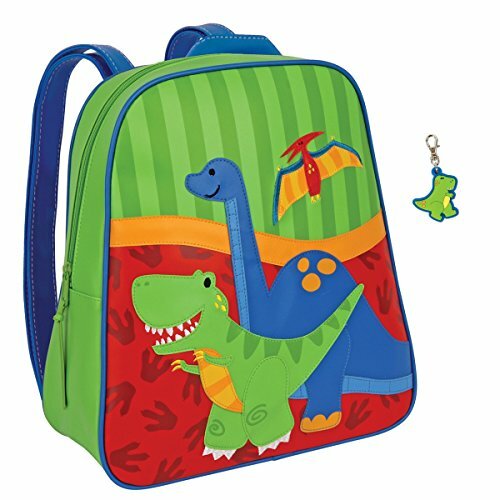 Little ones will love this cute backpack with the cool dinosaur designs. It is large enough to hold a standard folder, some coloring books and a change of clothes. The cute matching zipper pull measures approx. 1" x 1.5". Available at Daisy May's Boutique with other cute gear for the kids. 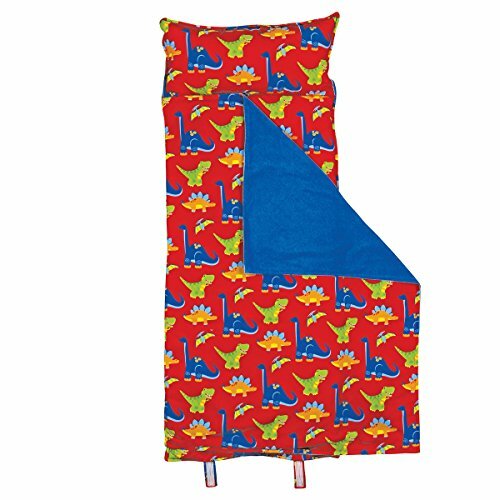 Stephen Joseph's cute toddler Nap Mats are soft and adorable. Features attached blanket and pillow. Pillow insert may be removed to wash. Rolls up to carry like a backpack. 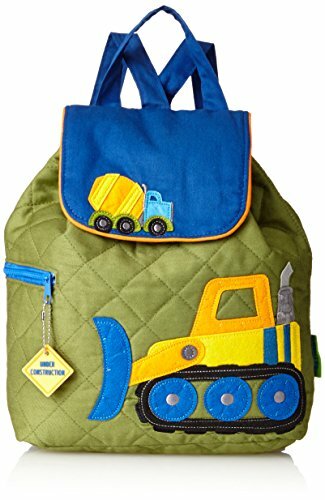 This cool Construction backpack from Stephen Joseph is sure to make your little boy love getting ready for school or packing up for a road trip. 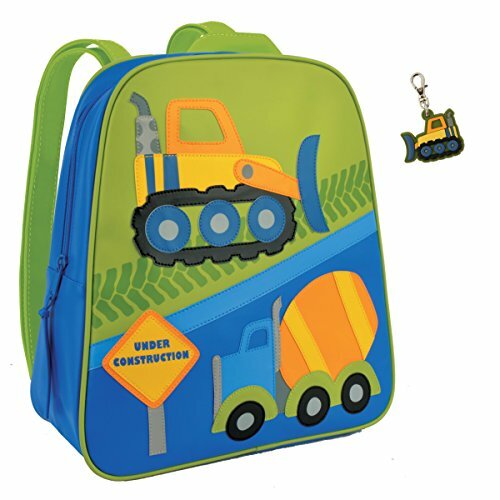 Little ones will love this backpack with the cool construction design that is made for boys ages 2-6 and are large enough to hold books and school papers. The cute matching zipper pull measures approx. 1" x 1.5". Availabe at Daisy May's Boutique with other cute gifts for kids. Little boys will love the this cool backpack with its fun and colorful design. Designed for kids ages 2-6 and is large enough to hold coloring books and a snack or a change of clothes. The matching lunch box has a double zipper closure and is fully lined and insulated, making it perfect for hot or cold use. It has a velcro strap to hold a drink and a mesh pouch for seperating food. There is also a front zippered pocket for extra storage. Available at Daisy May's Boutique with other great gifts for kids. 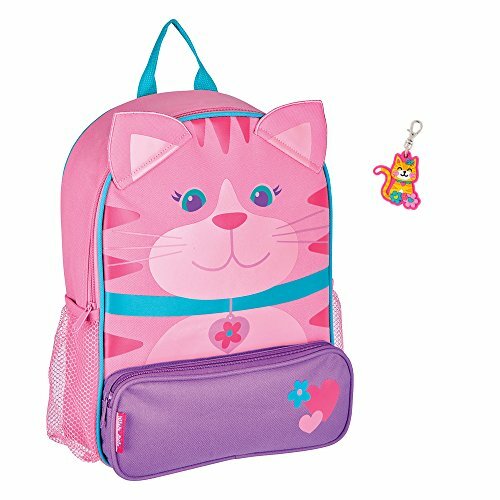 This adorable Girl Cat Backpack is perfect for your little one to carry all their stuff in. It's easy to pack up and go with a roomy interior that's big enough for holding coloring books and a change of clothes or important school papers. Available at Daisy May's Boutique with other great kids gear. 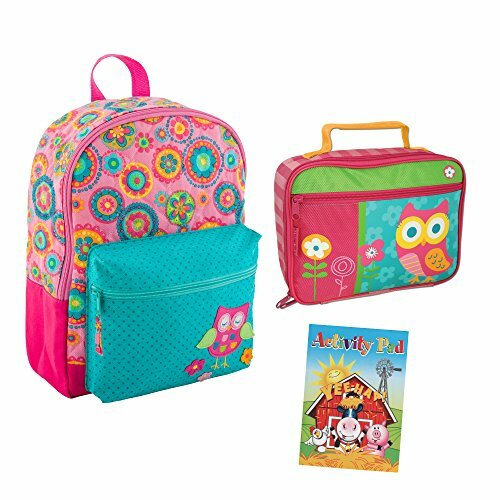 Little girls will love this cute backpack and lunch box combo with its colorful design. Whether going to daycare, preschool or on a day trip this adorable backpack makes it easy to pack up and go and is large enough to hold coloring books and a change of clothes. 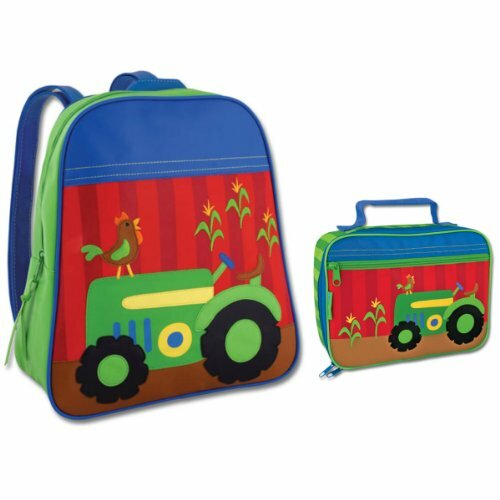 The matching Lunch box has a double zipper closure and is fully lined and insulated, making it perfect for hot or cold use. It has a velcro strap to hold a drink and a mesh pouch for seperating food. There is also a front zippered pocket for extra storage. The Activity pad is 5" wide x 7" tall and features a full color cover and pages of games, mazes, puzzles and more. Great to use while traveling or at home, school or play. These books fit neatly into the backpack or any purse. 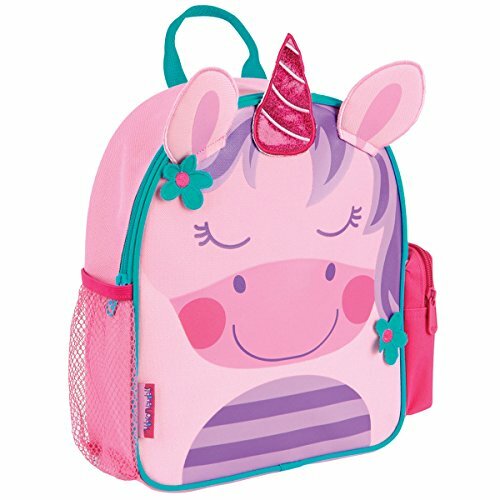 Let your little princess walk around in style with this fun Stephen Joseph Unicorn themed backpack. Made of sturdy and durable 100 percent polyester, this backpack features cushioned adjustable straps and mesh side pockets giving your little one the perfect space to carry school supplies, lunch, clothes to Grandma's or their favorite toys! Comes personalized with the name of your choice. Each backpack measures 9.75" x 11". Perfect for birthday gifts, back to school gear or just a unique addition to your sweet child's collection! Looking for more Stephen Joseph Toddler Backpacks similar ideas? Try to explore these searches: Cuff Turquoise Jewelry Set, Chocolate Valentine Bears, and 350z Performance Parts Suspension. Shopwion.com is the smartest way for comparison shopping: compare prices from most trusted leading online stores for best Stephen Joseph Toddler Backpacks, Polyester Appliqued, Flip Flop Keychain, Stephen Backpacks Toddler Joseph . Don't miss this Stephen Joseph Toddler Backpacks today, April 25, 2019 deals, updated daily.